Which areas of my home should I insulate? 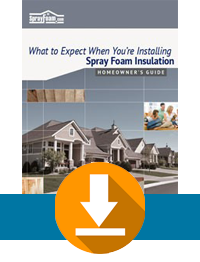 Retrofitting your home with spray polyurethane foam or buying a new home that contains spray foam insulation may qualify you for rebates, tax credits, and other incentives in Salem. The tax credit applies only to improvements made to the building envelope (the area along the perimeter of the home that separates the living space from the outside) and includes attics, foundation and exterior walls, basements and crawl spaces. According to the US Department of Energy, up to 45 percent of a home’s energy loss is through the attic, but the amount of heat actually lost will depend on where you live and how cold your attic gets. Therefore, homes in colder climates require higher insulation values. Recommended attic insulation levels range from R19 in the southern most parts of the US to R49 in the northernmost. Consult your local building authority for recommended levels in your area. Click through to calculate the tax credits, rebates & savings for Oregon.